Go Enjoy a Meal at This Restaurant. Start by Selecting this LINK. 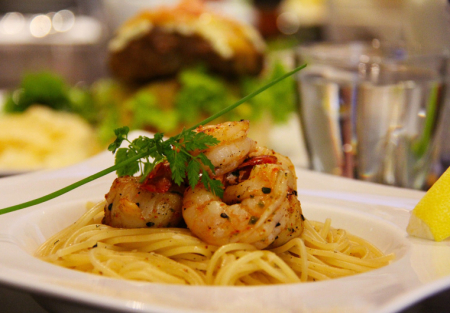 Here's your Opportunity to own an established Italian Restaurant. Perfect for an Owner operator. This is a nice looking casual and comfortable establishment. Located on a high traffic main road in South Placer County. This restaurant has been in business since 1999. Serving delicious Italian dishes, pizza and a variety of beer and wines. Kitchen has everything necessary for Lunch and Dinner service. 2017 Sales $557,644. Working Owner Can Turn This Place to do more than a million over time. Sales are up over the last few months...! Rent $5,600 for 2,500 sq. ft.
Reason for selling: Motivated Sellers have other business obligations and needs to attend to them. Select This Link to Go See This Restaurant. Seller will consider offers...sign the NDA have a look as a customer. Great Family Run Business Op. Sales are up over the last months...!